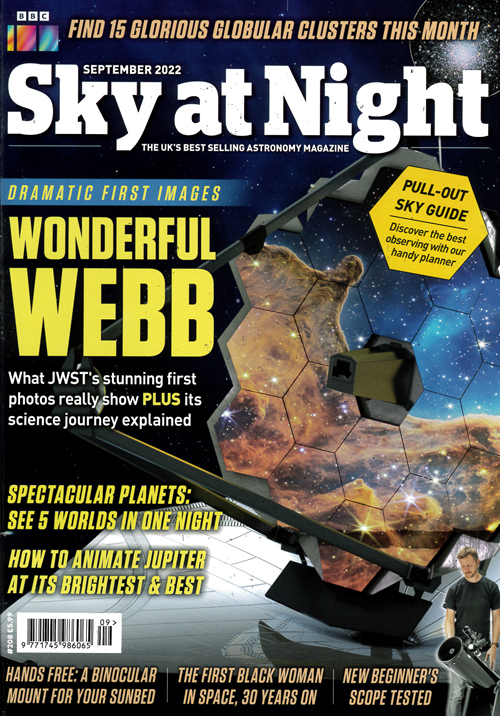 As the world’s first magazine and CD package, BBC Sky at Night magazine complements the BBC’s popular and long-running TV series, presented by Sir Patrick Moore. THE practical guide to astronomy, every issue brings you observing tips, star charts, buyer’s guides, the latest in cosmological research and exclusive features by Sir Patrick Moore. Publicada en Inglés - Mensual. Plazo de 6-10 semanas hasta la primera entrega.